This Tempered Glass Replacement Base is made to fit Firefly Store Solutions' regular size adult plastic mannequins with calf mount. 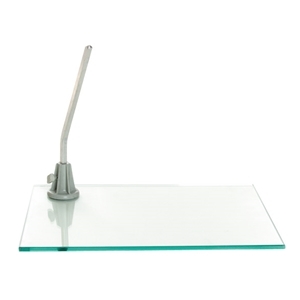 The kit consist of (1) glass base, (1) metal rod with collar attachment. This replacement base is not a universal base and may not fit other brand mannequins.